Circular outline. Circular discus has central filling hole with raised, rounded framing ring, rays, and wide, flat framing ring; small airhole at front over rim. Narrow shoulder has wreath motif. Small ring handle with two grooves attaches at back rim and almost to base. Circular, flat base has single groove around incuse signature (illegible). Blunt details from worn mold. 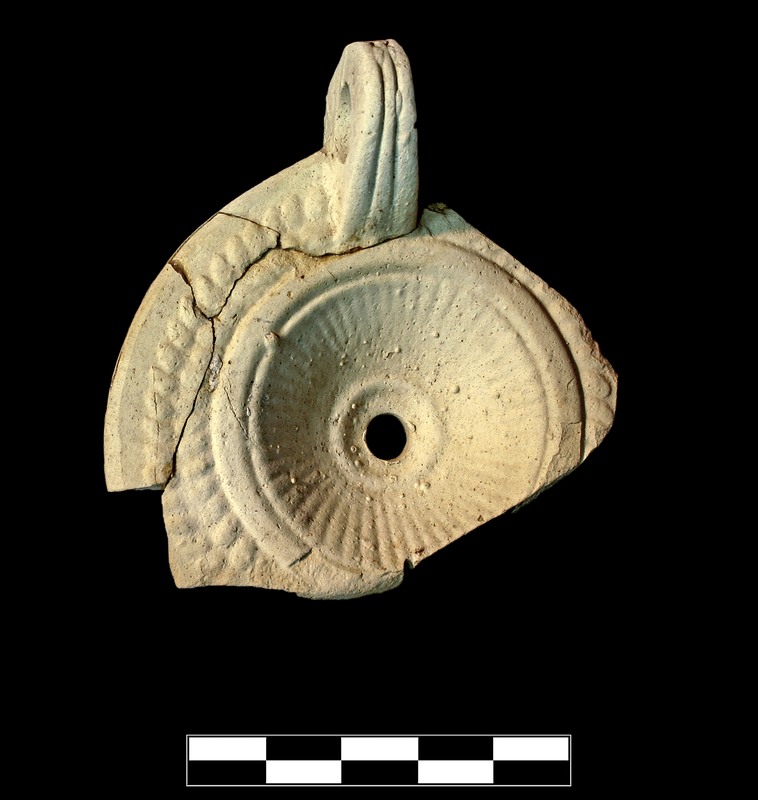 Early/Middle Roman Corinthian pale lamp fragment: fine, somewhat hard. 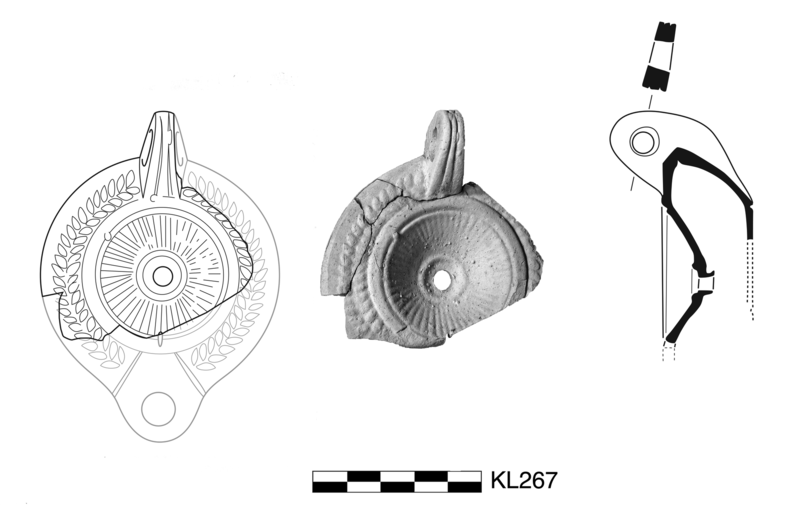 Three joining sherds preserve almost entire discus, less than one third of shoulder, entire handle, and small part of base. Slight to moderate, extensive abrasion; slight to moderate, extensive film of encrustation.